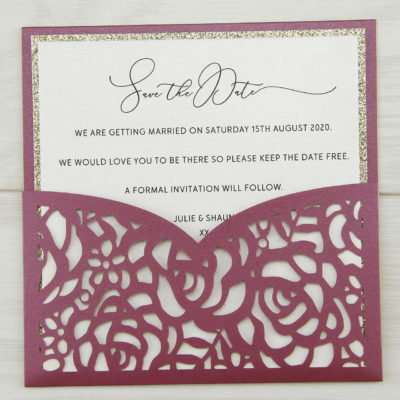 Designed to coordinate with the Angel Orchid range. 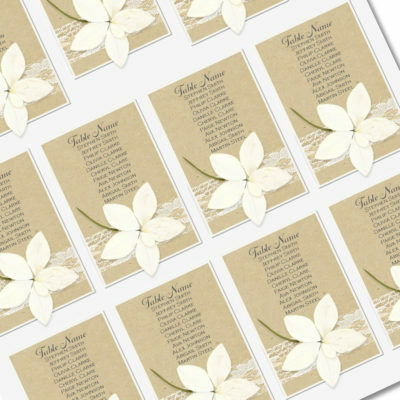 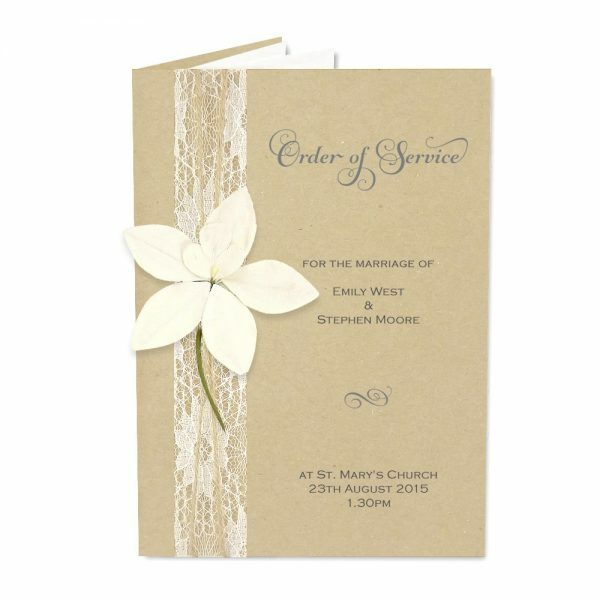 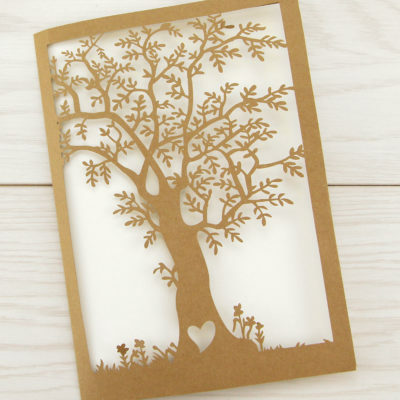 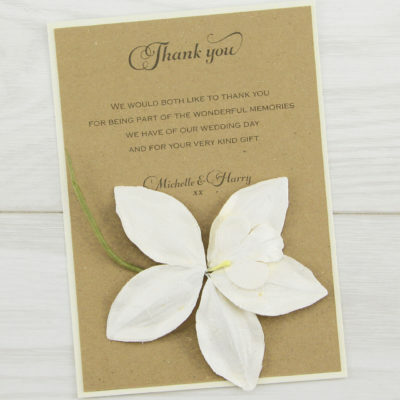 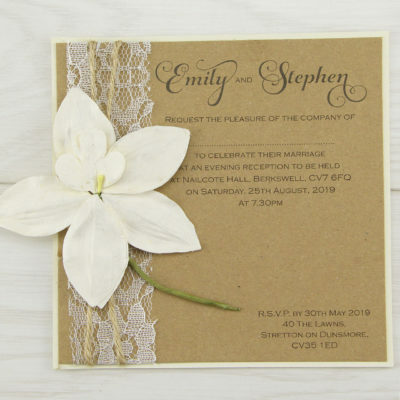 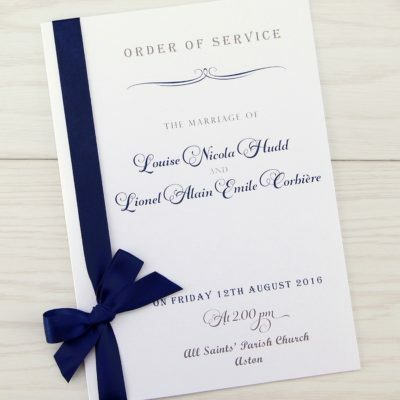 Perfect for a rustic wedding, personalised with your order of service details on high quality cream paper. 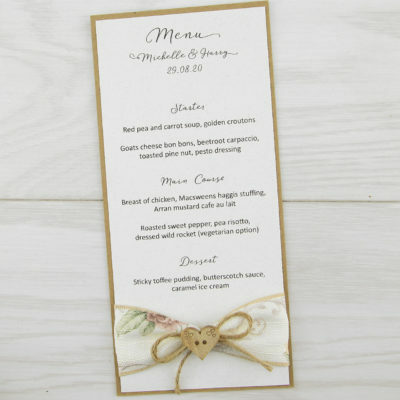 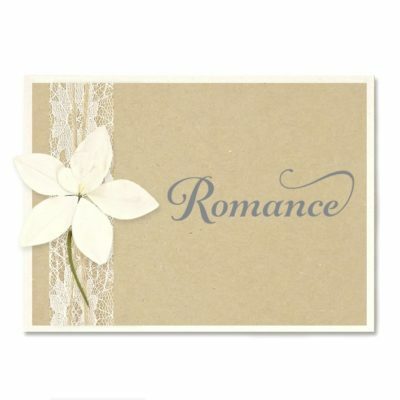 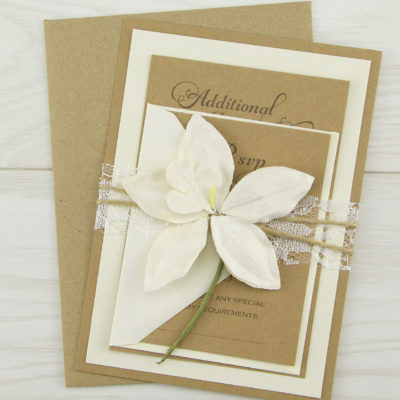 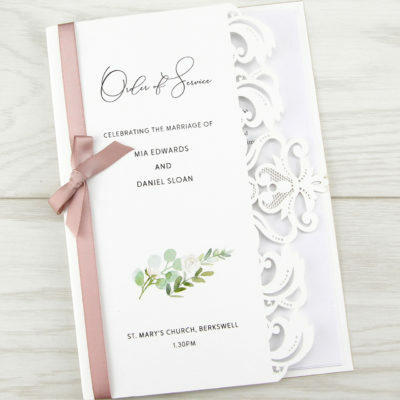 Folder outer, lace, twine, orchid and up to two inserts equating to 8 sides as a booklet print. 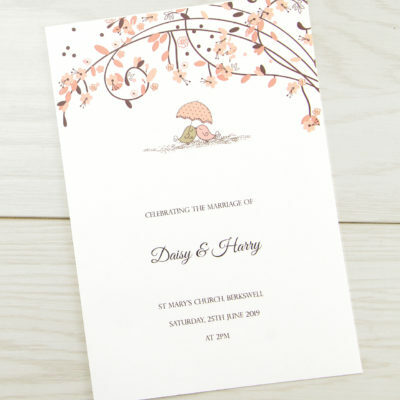 Printing is included and fonts are as shown unless you request otherwise. 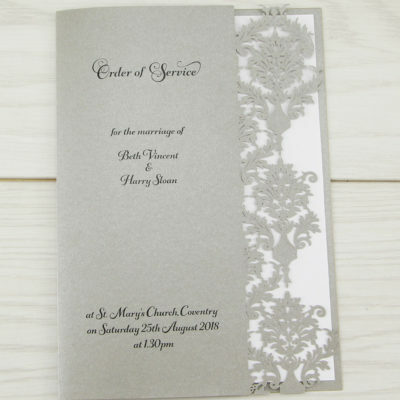 If you require more inserts then please request pricing.